In addition to being on a diabetic diet, I’ve been asked to go wheat free. What’s your favorite wheat free bread? Please leave a comment for me! 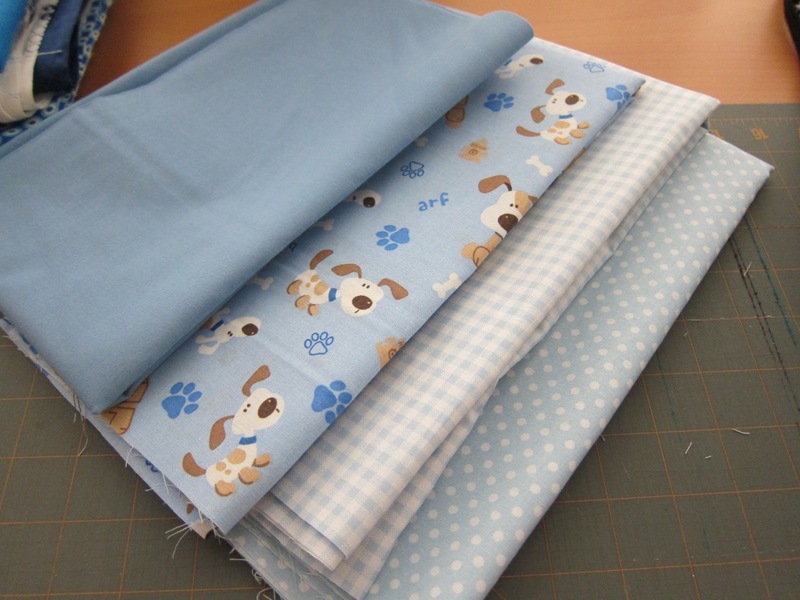 I picked up some baby quilt fabrics that I’m very excited about. 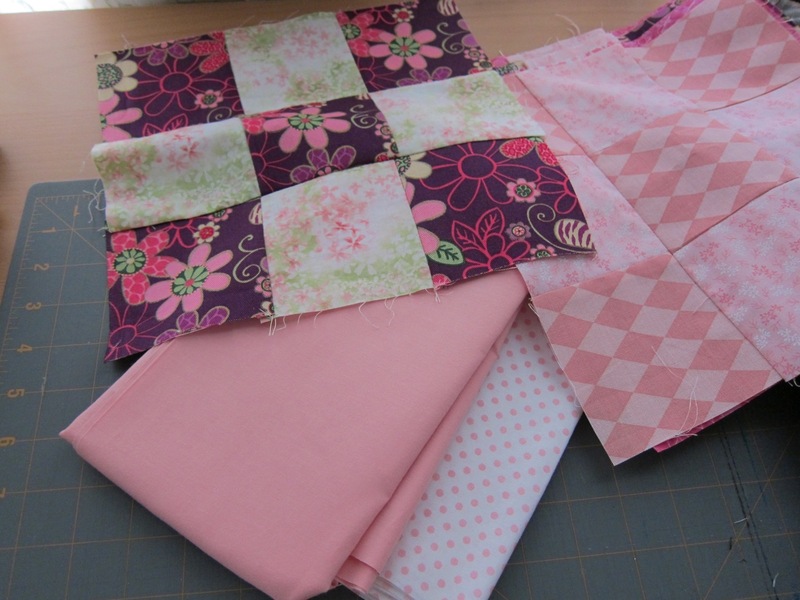 I had already made these pink blocks from scraps, so I picked up the pink and polka-dot fabric to use as outer and inner borders. 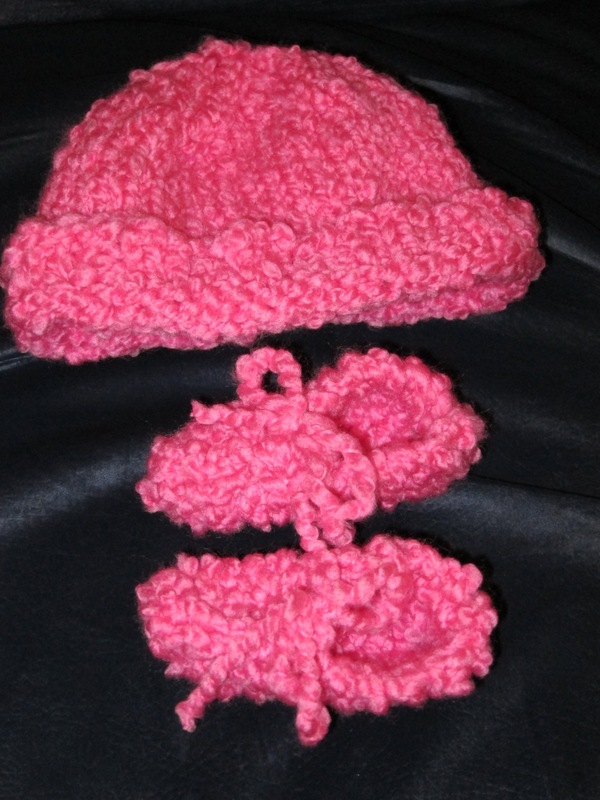 My friend recently had a baby girl, so I made a baby hat and booties for her. I used Patons Melody Quick & Cozy Yarn in Hot Pink. Recently, I made some salmon and some quesadillas. I covered the salmon in EVOO, salt, and pepper, then baked it at 350 degrees for 15 minutes. 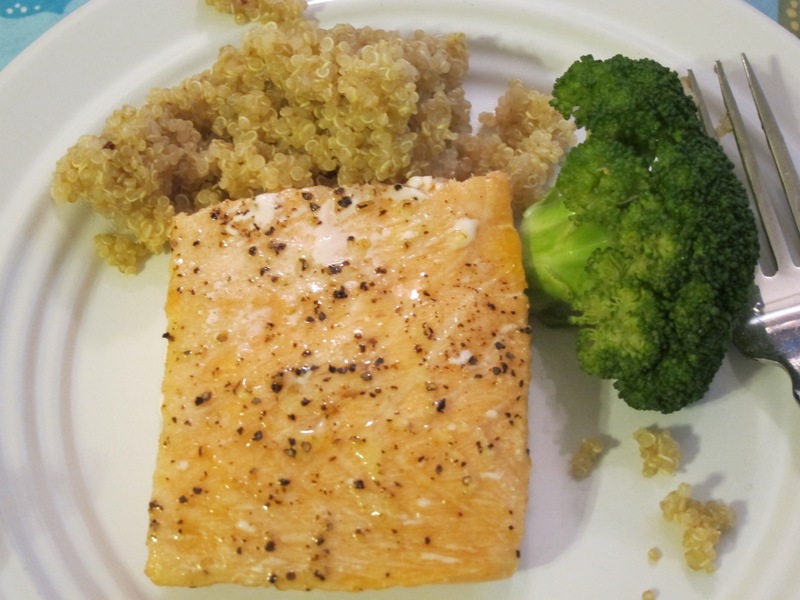 I served it with quinoa and steamed broccoli. 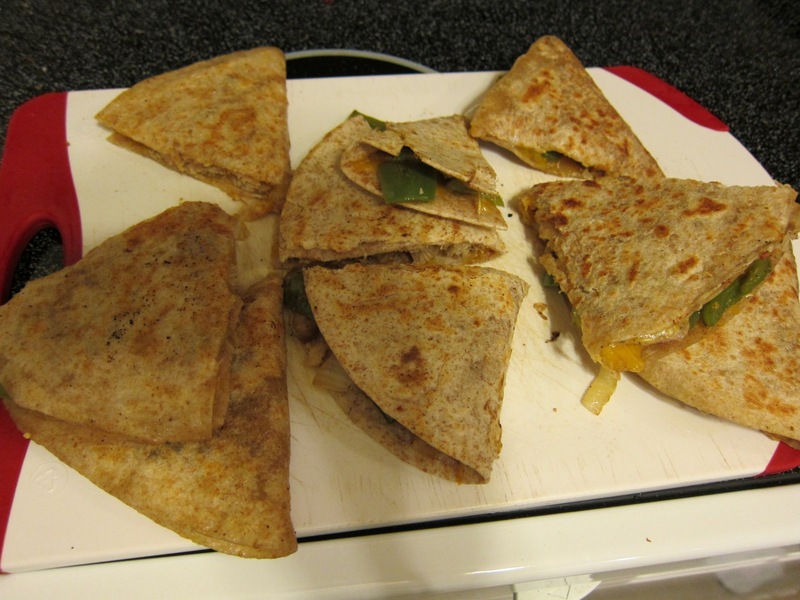 For the quesadillas, I filled tortillas with shredded cheese, cooked chicken, as well as onions and bell peppers that I sauteed with EVOO and cumin. I recently received a Thirsties Duo Diaper (Hoot) from a friend. I also purchased a Duo Wrap (Ocean Blue) and a Duo Hemp Prefold so that I could do a comparision. 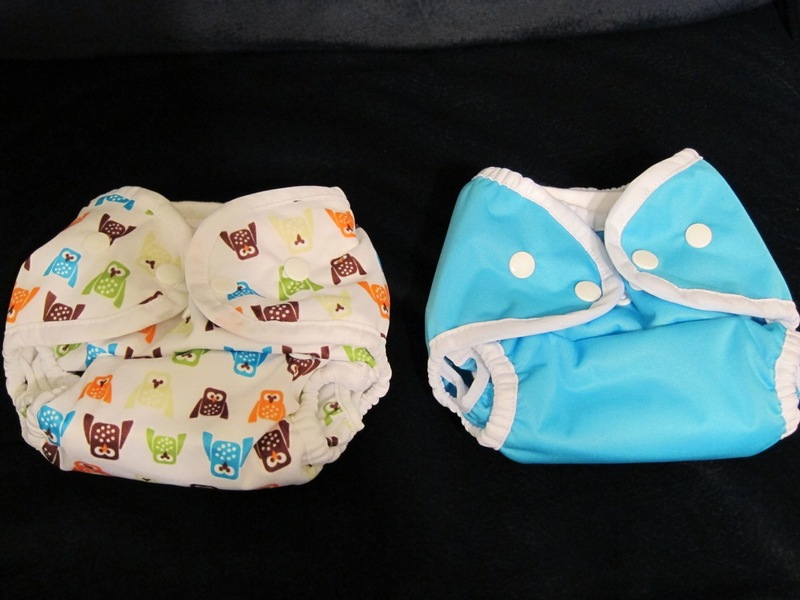 The Duo Diaper is on the left and the Duo Wrap with Duo Hemp Prefold is on the right. Thirsties has two sizes. 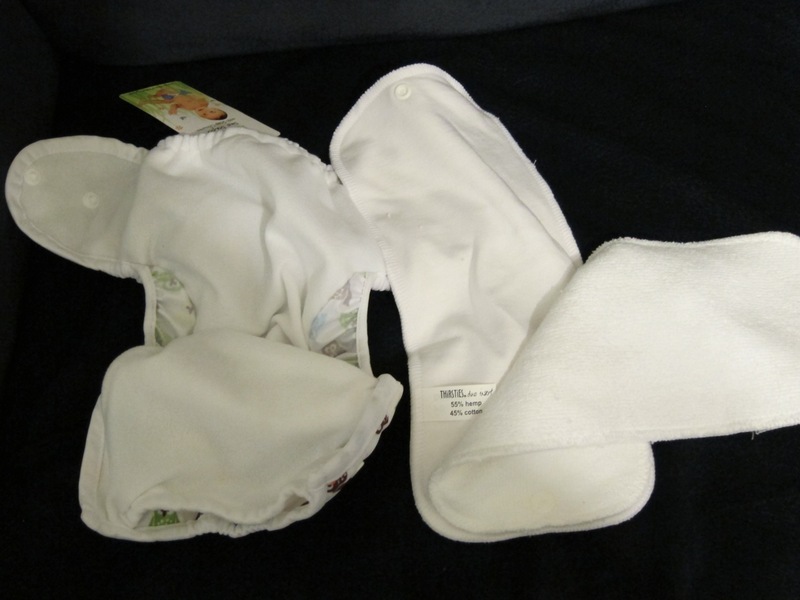 The above are size one, which go from 0-9 months (up to 18 pounds). Size two goes from 9-36 months (up to 40 pounds). Each size has three size adjustment settings. I have both on the smallest setting. We chose snaps so that we wouldn’t have to deal with any Aplix (velcro) problems, such as a clothesline of diapers coming out of the washer (if you forget to fold over the tabs). 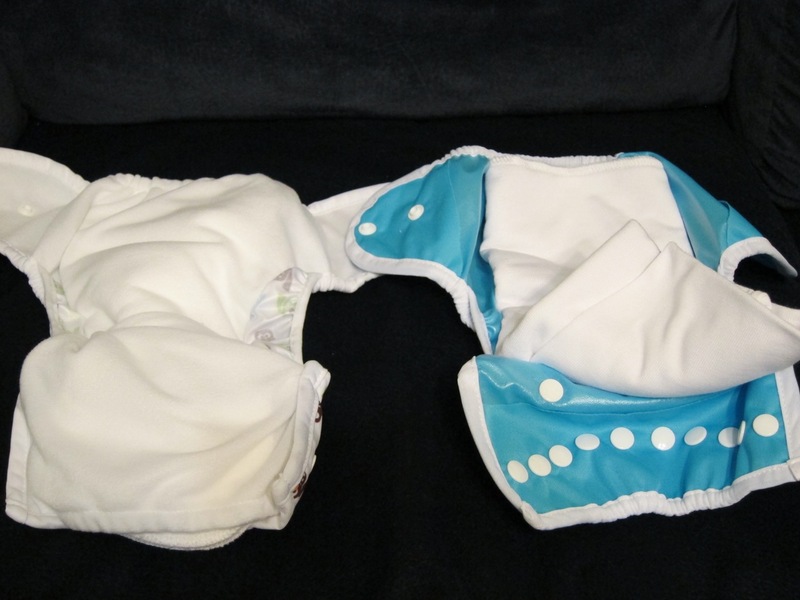 The Duo Diaper (left) has a two-layer insert that you stuff in a pocket. 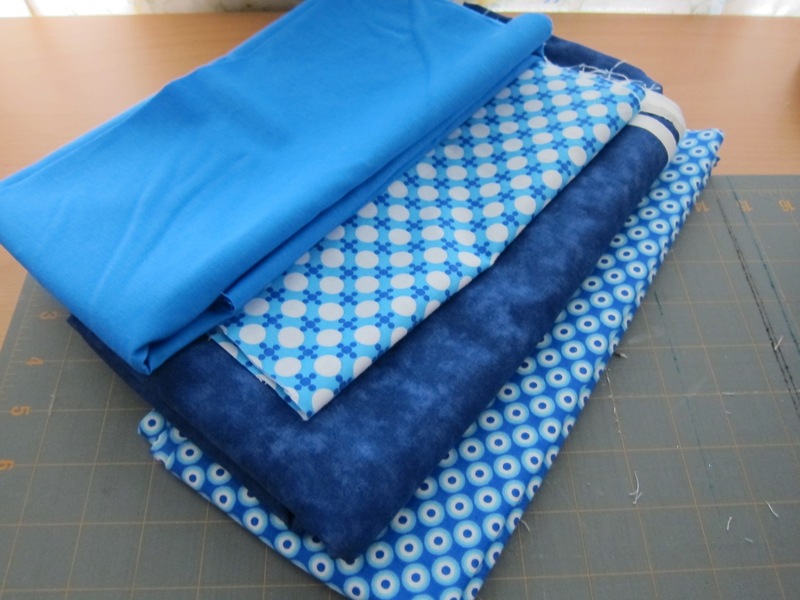 For the Duo Wrap (right), you simply place the folded prefold on top. For a newborn, you only need one wrap for every three prefolds. I tried prepping the Duo Diaper with the insert and I tried laying the prefold on the Wrap. I found it a lot easier to use the Duo Wrap and prefold. For me, I figured I would rather fold prefolds than stuff diapers after a wash. I already fold cloth napkins, so it wouldn’t be much different. This is a personal preference. 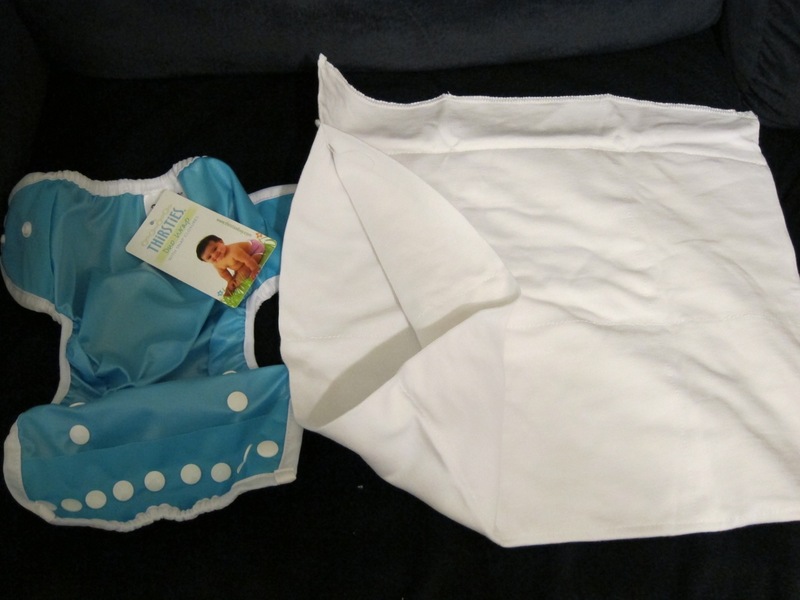 I do feel that a babysitter who is unfamiliar with cloth diapers might prefer the Duo Diaper to the Duo Wrap, due to the similarity to a disposable diaper. The above shows the Duo Diaper and the two layers of the insert (one hemp, one microfiber). The insert layers snap together at both ends. The above shows the Duo Wrap and the prefold. You can see that the prefold is a length of fabric folded over and sewed at one side, so that you have space in the middle for quicker drying. I have another week of menus planned based on the Food Nanny plan. Some of the recipes are from the Food Nanny cookbook. I think building my way up from 5 planned meals a week is still better than planning 7 meals and not getting them cooked! 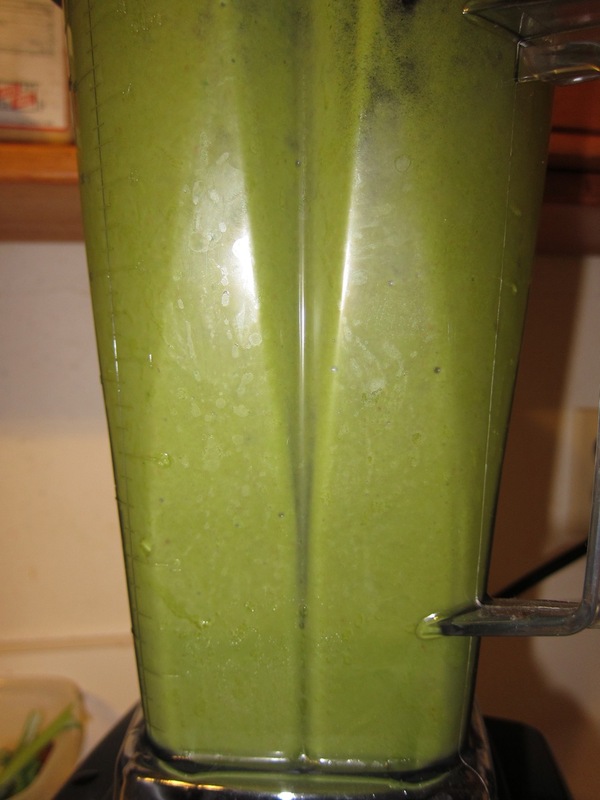 I recently started making green smoothies in my blender. 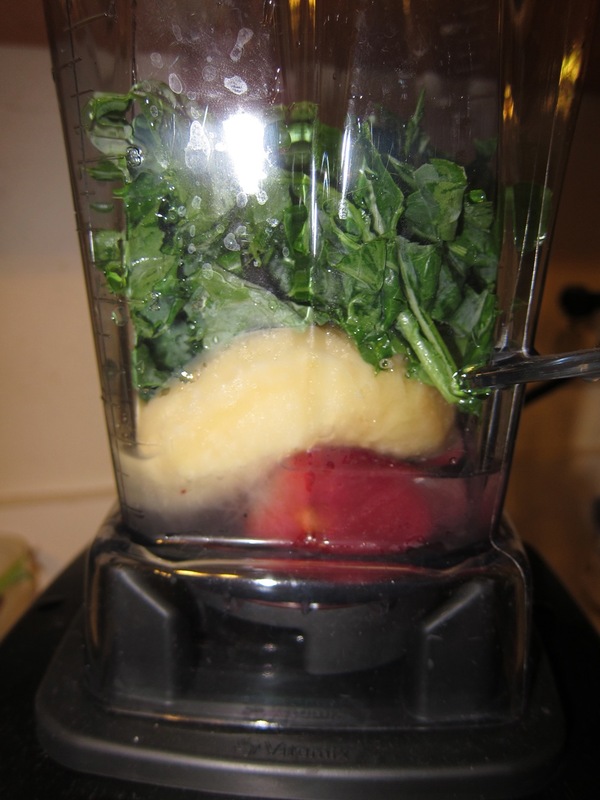 I put all of this in my blender and blend until smooth! 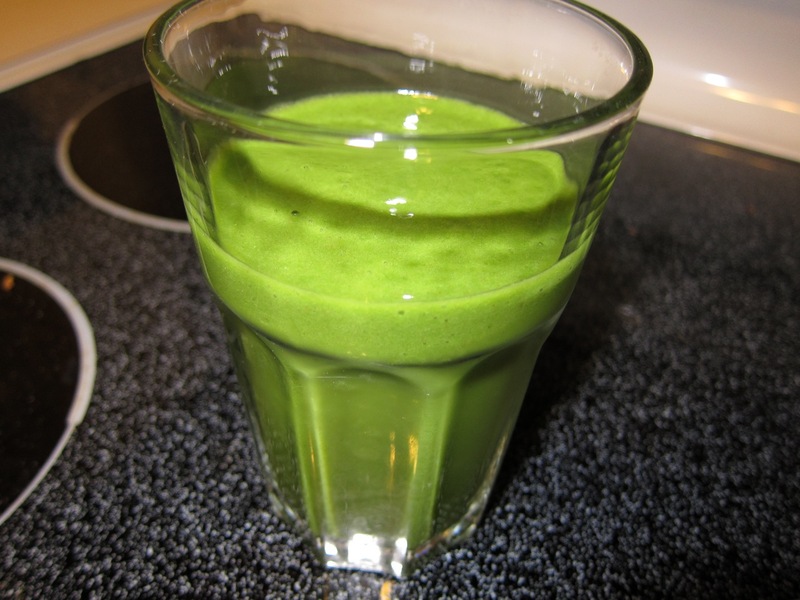 Note: If you do not have a very powerful blender, chop your kale very finely first!